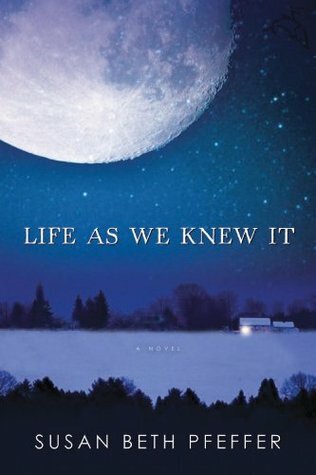 I just finished reading Life As We Knew It by Susan Beth Pfeffer, and let me say, it was pretty interesting. In the story, the moon is knocked closer to Earth's orbit, which causes tons of natural destruction. Melinda, her mother, and her brothers are trying to survive when their world around them is falling apart. I actually really, really liked this book, which is saying something because I've never been big on apocalypse stories. It took me about 24 hours to read (technically less than that, because I had school and sleep for about half of that time). The instant I opened it, I was hooked. It's an interesting apocalypse theory--instead of typical zombies or aliens or a nuclear war, an asteroid knocks the moon closer to the earth. The result is drastic weather that causes lots of destruction and heartache. I was hooked on the book the entire time, even though it wasn't totally perfect. It was definitely a new twist on the apocalypse! I enjoyed that Pfeffer decided to stray away from the typical "Zombies, Disease, and Nuclear Fallouts [Oh My!]" plot that almost every apocalypse book seems to be based around nowadays. I also liked this book because it felt real. I know what you're thinking--How does the moon getting knocked closer to the planet seem "real"? What I meant by real is that Melinda and her family were average, every day people. She had school. And friends. And fallouts. Just like any other American teenager (or a teenager from any country, actually). So the fact that such a catastrophic event happened to such regular people, it spooked me. But in a good way. I normally hate books that make me worry about all of the, Oh no...is this really going to happen now? stuff. But I felt it this time and...surprise, surprise...I liked it. Also, this novel is written in journal-entry form. That normally annoys me (except for in Diary of a Wimpy Kid, which I personally believe defies all rules because it's just one of those good books), mainly because I don't like how tends to break up and skip some days and such. But Melinda's journals (she even says that she isn't leaving them for anyone) brought her personality to life. It made her character more believable. I can't say that the book was uneventful, because that's untrue. But I felt like the most dramatic events were so far spaced out. There would be one chapter with a really fast-paced event (such as in Chapter 2, when the meteor hits the moon), but then chapters upon chapters of Melinda and her family stocking up on goods and eating canned veggies would go by. By the time another big event happened, it would be a good amount of chapters away. So for the duration of their "survival" chapters, I was still hooked, but I found it a lot easier to put the book down and get started on something else. Also, the most unrealistic part of the book to me actually wasn't the whole moon business--what felt unreal to me was the fact that natural disasters (volcanoes, earthquakes, tsunamis) were occurring all across the world, and Melinda's high school still had classes. They had no power. Stale food for the kids. And they still insisted on having graduation. Nowadays (and even back in 2006, when this book was published), stuff like that doesn't happen. It just made it seem a bit more fiction. The book is science fiction, of course, but you know what I mean. Long story short, I gave this book 4 stars because I'd recommend it to a lot of people, but it still wasn't one of my absolute favorites. Welcome To The Book Bratz! 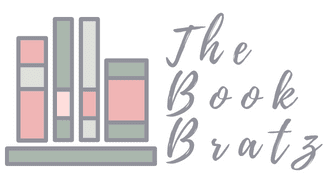 Welcome to The Book Bratz! We're Amber and Jessica, the very Book Bratz ourselves. 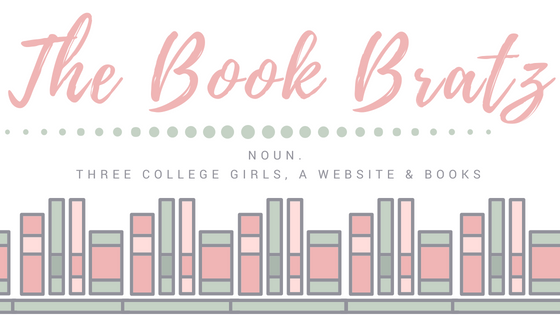 We created this blog so we can review books, talk about books, debate books vs. movies, have giveaways and guest posts, etc. Long story short, if you like reading, you've stumbled across the perfect blog. If you want to get to know us a little better, you can click here. If you want us to check out some ARC material, click here. Long story short, we're two teens that love to read, write, and enjoy life. And this is our space to talk about one of the things we love most--books.